Going back in time of the Soviet watchmaking, we have now reached the 1920's. Since the Russian revolution was in 1917, this one of the oldest Soviet watches there is. 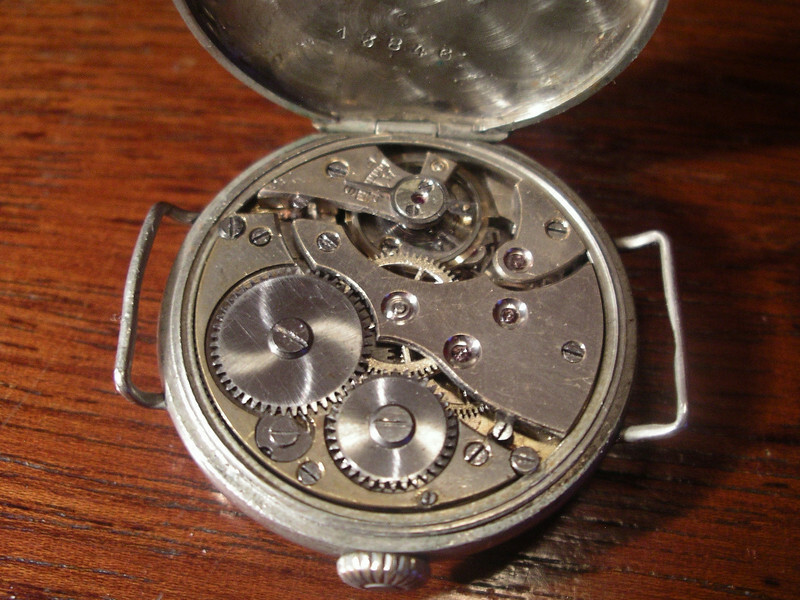 In imperial Russia, it was beneficial to import "spares" rather than complete watches, mainly for tax reasons. And since it was a huge and virgin market, some Swiss and German makers came to specialize on it. The biggest players were Pavel Buhre, Heinrich Moser and George Favre Jacot. To get more control over the business, they established workshops in Moscow and St. Petersburg. The watches were sold under their name, but often with labels and inscriptions in Cyrillic. But after the revolution, those workshops were confiscated by the socialist state, and the original owners withdraw from the market. Pavel Buhre temporarily relocated to the Baltic, but could only stay independent for a while. Gostrest Tochmekh (State Trust for Precision Mechanics) was the umbrella "brand" created by the state to, among other things, continue run the originally private watch workshops, and supplying the military and government with watches. They were initially created from remaining stocks and leftovers, but later from imported parts. 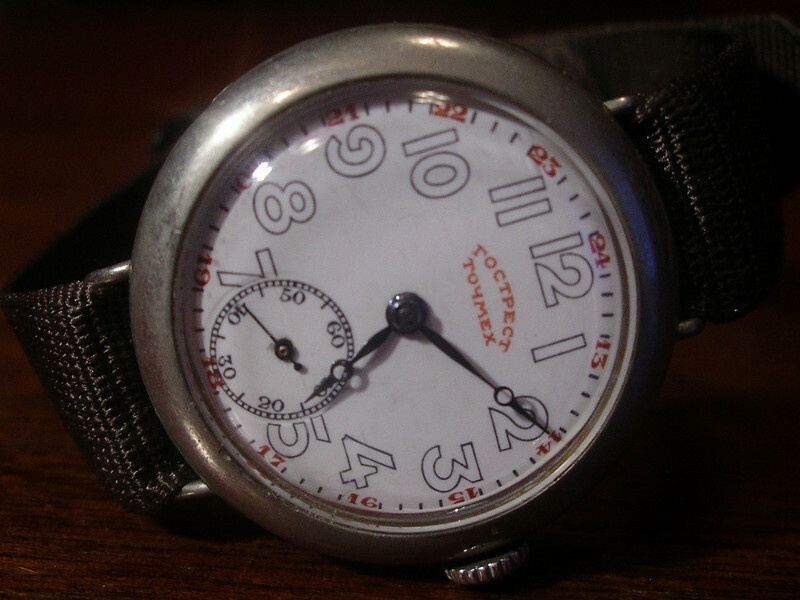 Tochmekh made watches until a watchmaking industry was founded in the USSR in 1930. I have been searching for very long until I finally found a genuine one. And fate played me a funny game, since I immediately after found a second one, which is now on the way here. 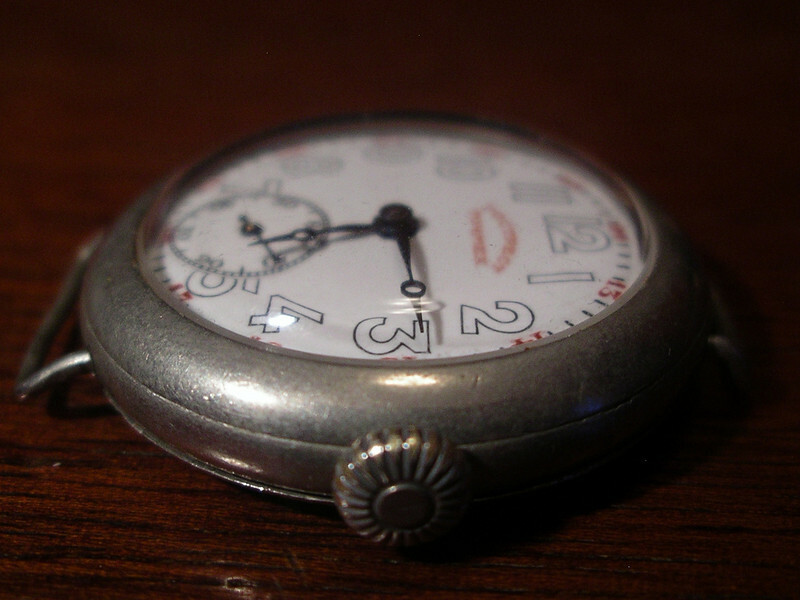 Until then, please enjoy my first shots of a 90 years old Soviet watch. It has a porcelain dial. The case is nickel, or a nickel alloy. The movement lacks signature, but is likely a Heinrich Moser. Last edited by Lucidor; 26-02-2010 at 21:40.